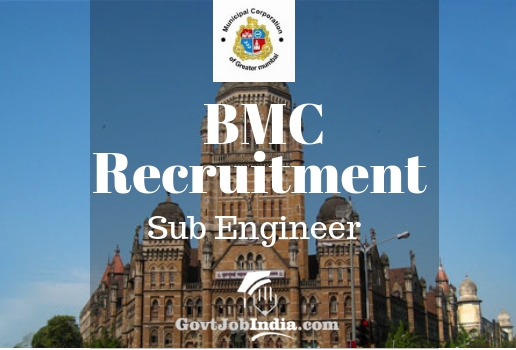 BMC Sub Engineer Recruitment 2018– Candidates are to note that the Brihanmumbai Municipal Corporation or Municipal Corporation of Greater Mumbai has just rolled out a recruitment notification for the admission of 291 Posts of Sub Engineers. These posts are a viable job option for all the Civil Engineers and Mechanical Engineers in the Maharashtra region. The official website where this has been made available is the www.mcgm.gov.in/. 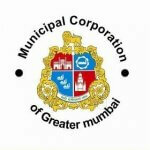 You can go to this website for more information related to this MCGM Recruitment for Sub Engineer. The Municipal Corporation of Greater Mumbai (MCGM) has extended the last date to apply online to 31st December 2018. The minimum marks which candidates had to score for clearing the eligibility of the BMC Recruitment 2018 has been slashed. The current requirement is given below in the “educational requirements” section. So, all those candidates who might be interested in the BMC Recruitment 2018 In Mumbai must read the article through its course and Apply according to the information for the MCGM Sub Engineer Recruitment 2018. We, at GovtJobIndia.com, are here to provide you with apt information about this Govt Job Vacancy in Mumbai. In addition to this, we have also given out all the details pertaining to the MCGM Sub Engineer Recruitment 2018 which will enable a confusion-free application process. This includes details such as the BMC Sub Engineer Salary, Eligibility criteria, Application fee and MCGM Vacancy division. This is a perfect opportunity for all those who might be looking for a BMC Recruitment 2018 For Engineers as this large sum of vacancies can be utilized by aspiring candidates to convert this into their dream job. Also do check out our other articles related to this, like BMC Sub Engineer Syllabus, Admit Card details and also the Result and when it will be out. Offline Payment methods are not accepted during the MCGM Recruitment fees payment. The payment methods are enlisted down below after the category wise application fee details. How To Apply Online For MCGM Sub Engineer Recruitment 2018 @www.mcgm.gov.in/ recruitment 2018? Candidates who wish to secure this splendid chance of getting a job in the BMC must be follow these steps in order to get through the recruitment application process. So, given below are the various steps to get through this procedure. OR alternatively, you can also go to the link given down below and just click on it and you will be taken to the direct page where you have to apply online. Carefully complete the application form and attach all your required documents onto the form. This must be in par with the measurements sent in by the BMC recruitment notice. Finally Submit your form and pay the application fee. Download the fee receipt onto your computer and save it. It would be better if you save the registration form and number along with it as well. Did you find this article about the BMC Sub Engineer Recruitment Useful? If yes, then makes sure to comment down below if you are applying for this recruitment. In addition, if you face any problems with going through the application process, then also let us know or connect with us in the comments and we will help you out with our expertise as soon as possible. If you like our content presentation and would like to see more articles from us @GovtJobIndia.com, make sure to subscribe to our website and pin us onto your favorite browser so that you can keep coming back to us for more job related queries. can electronics and telecommunication engineering student can apply? Is there negative marking system for sub engineer exam? would BE appearing student’s apply for BMC sub engineer post? What is criteria for Those who have not given Marathi paper of 100 marks in SSC or equivalent exams ? Can they give Marathi paper after joining the job? why the site not contain vacancy for architects? and even the previous quetions papers for architecture syllabus? please refer some links or study material for technical study for sub architect recruitment. there is no previous years sample papers for the post of architect. from where i get it ? Is there any criteria for BMC exam that ..we students should have Marathi subject in 10th and 12th std…and if not den…are we eligible ?? Can other state students apply? what is part A and part B ? Would BE Appeard students apply for the BMC secondary engineer post?